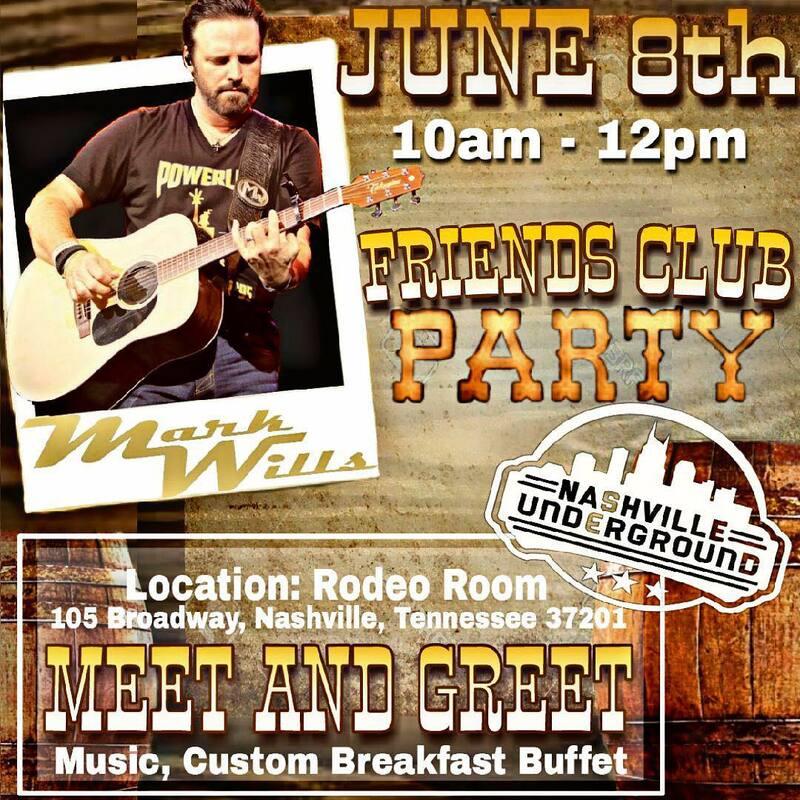 2018 Mark Wills Friends Party On Sale Now! 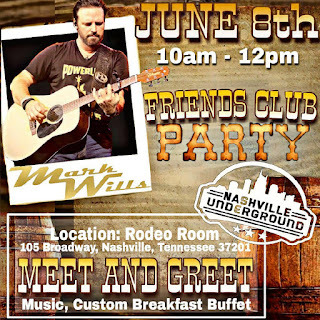 Mark Wills has announced that his annual Friends Club party will he held on Friday, June 8th from 10 AM - 12 PM at Nashville Underground during the 2018 CMA Music Festival. This is one of our favorites! Mark never fails to welcome and entertain you! He is possibly the nicest artist to meet and interact with!